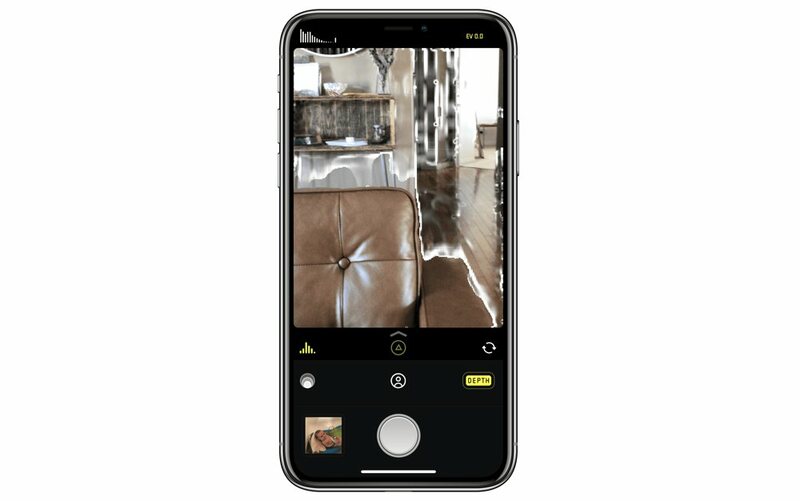 One of our favorite — if not the favorite — manual camera apps for iPhone continues its charge ahead with a slew of new features making their way into version 1.7. 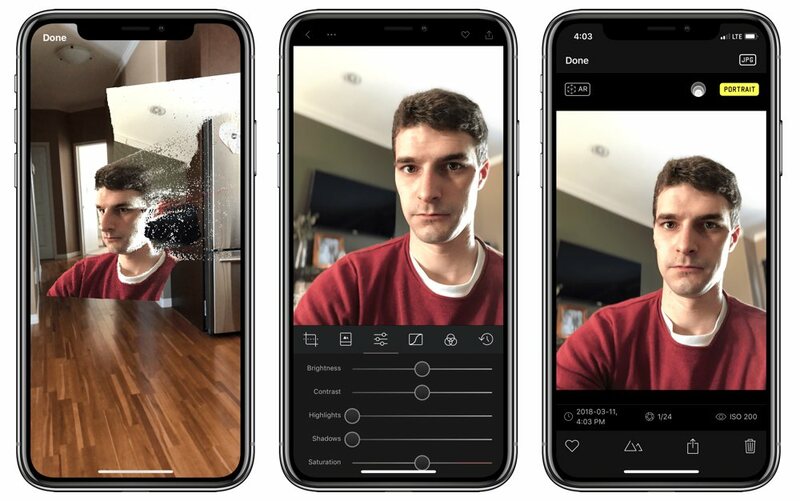 Halide’s latest update introduces its own in-house Portrait Mode, an ARKit feature for showcasing 3D portraits, and an extra handy Darkroom integration for quickly editing your photos in our favorite photo editing app for iPhone. Due to limitations of the Depth framework for developers, Portrait photos captured in Halide won’t carry a ‘Portrait’ label when reviewed in Apple’s Photos app. In fact, if you shoot in Portrait in Halide, then open the photo in the Photos app and tap Edit, you’ll be able to apply a second blur. 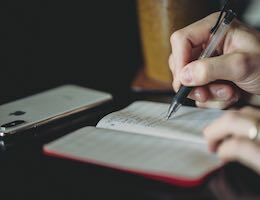 I often prefer to stick to Photos.app for culling and organizing photos on my iPhone, so this is a limitation that is sure to rear its ugly head. 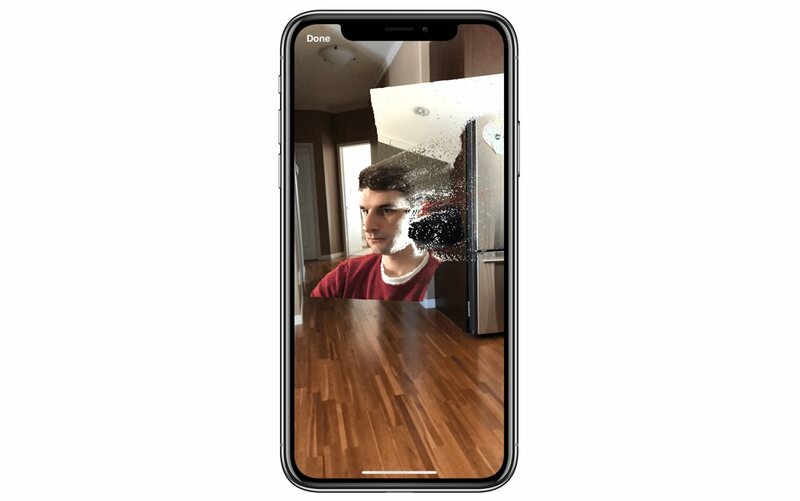 Halide takes these Portrait photos a step further using ARKit, allowing you to see a 3D image of the portrait in AR. Halide 1.7 asks you to place the photo somewhere in your room after it has scanned your environment, and you can then walk around your portrait to see how Halide scanned the image. It’s not an entirely handy feature at this point in time, but I think it proves how powerful Apple’s TrueDepth camera system can be in the right hands. Among other enhancements and improvements, my favorite new feature inside Halide 1.7 is direct Darkroom integration for editing photos. Darkroom is our pick for the best photo editing app for iPhone, providing sliders, curves, and preset options for quick and easy editing on your iPhone. In Halide 1.7, when perusing your camera roll photos, you can simply tap the Darkroom button on the bottom of the screen and Halide will send you straight to Darkroom with the current photo ready to be edited. 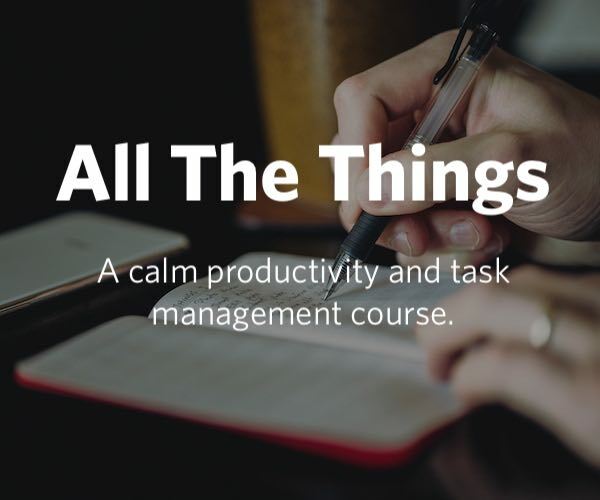 A world of possibilities opens up when developers choose to play nicely with one another (as we have already seen between MindNode 5 and Things 3.4), and this Halide/Darkroom workflow continues to push the iPhone up the charts in terms of the best camera you can have on you at all times. 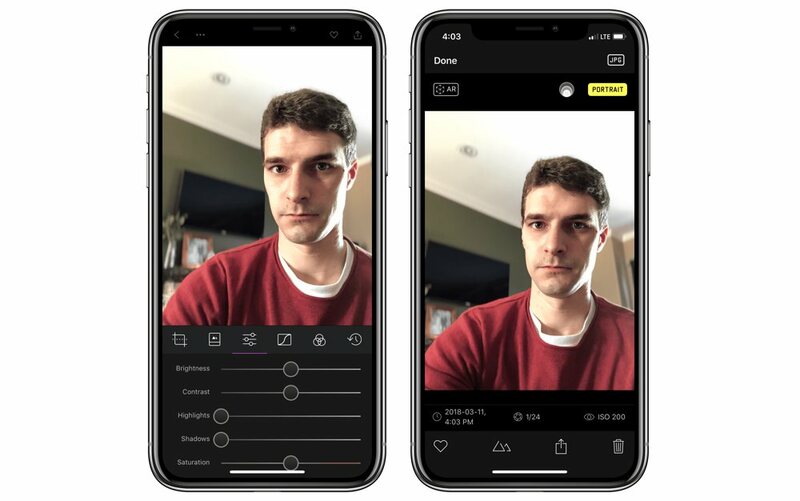 Halide burst onto the App Store last year, introducing one of the best implementations of manual camera operation on the iPhone, as well as support for RAW photography to allow photographers to get more out of their photos. Halide was updated quickly to support the iPhone X and has one of the more unique iPhone X UIs on the App Store, making use of the corners in ways we haven’t seen in other apps. Now, with Halide 1.7, you can take all the best parts of Apple’s Camera.app, slide them into Halide, and then quickly edit your resulting photographs in Darkroom in a pinch. Halide 1.7 comes as a free update for existing users and can be had on the iOS App Store for $4.99.